Setting up an Open Ended Item gives you the ability to manually input the price at the time of sale. For example, if your business has repair or rental services, you can easily use this feature to input a manual price every time. For an item to be subject to price override, clients must enable the setting on the brand-level and on the individual item-level as well. 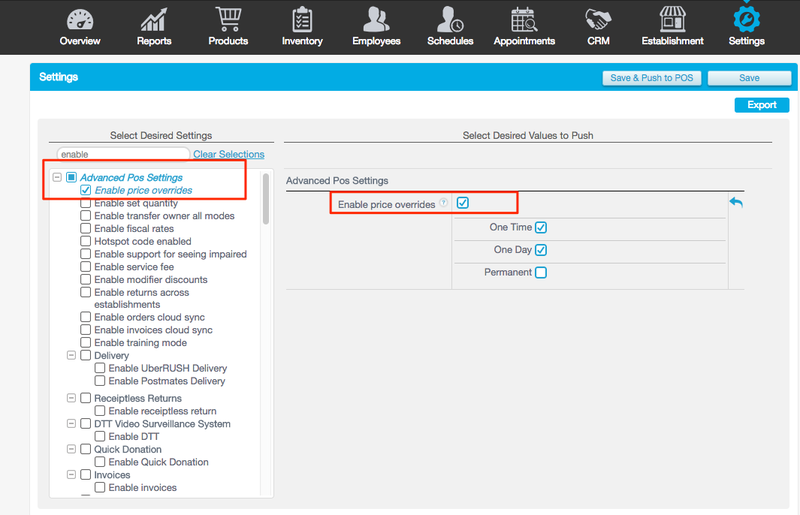 To enable it on the brand-level, log into your management console and click on Settings and search for Enable Price Overrides. On the right, check the box for Enable Price Overrides, then click Save. 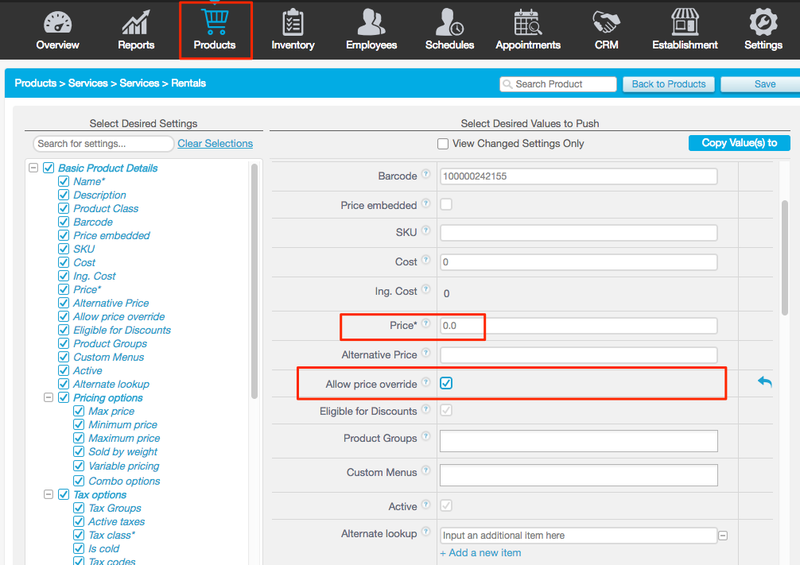 To enable price override on the product level, go to the Products tab. Then click to expand the category and sub-category of the desired item. On the right side of the desired item, click the Pencil tab for Basic Product Details. For an automatic price prompt to appear on the POS, set the price of your item to be $0.00. On the Product Details Screen, select the check box for Allow Price Override listed on the right side of the screen. Once confirmed, hit Refresh on your iPad for the changes to take effect. On the Point of Sale, tap on the name of the open ended item. The POS will prompt you to enter a price for the open item. Enter the desired amount, and then tap OK.